Finding the perfect gardening gifts near Gateshead is now incredibly convenient. 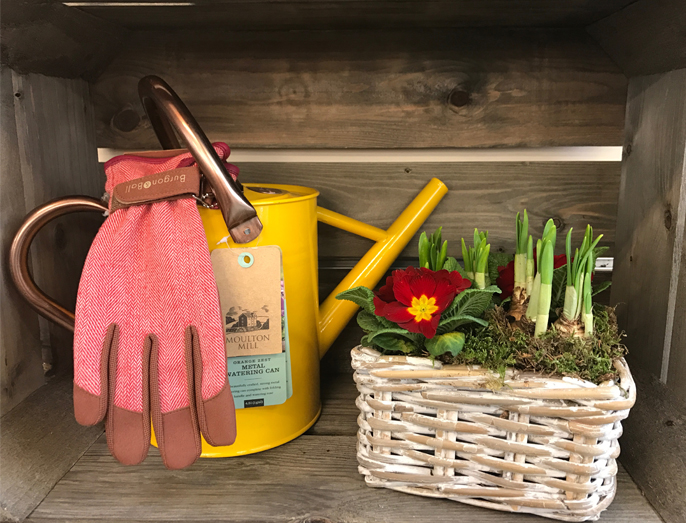 All you have to do is drive out to Cowell’s Garden Centre and choose from a big variety of gardening related items in our gift shop. It is the perfect place for finding your friends and loved ones presents related to their favourite hobby or to encourage them if they have only just adopted it. Of course, the top spot in this list goes to plants. A lot of our customers like to buy their gardener friends plants. It makes for the most practical gift when you are giving it to a gardening lover. While this gift is readily available in every section of nursery, there is a lot of choice for you. It will make your friend’s day if you can find them a plant they have been looking out for. We also have a number of designs and sizes available in windowsill growing kits. If the person you are giving the present to is keen on grow-your-own gardening, this is probably the best gift near Gateshead that you can get them. They come in many measurements and materials with a range of price tags. Every time your friend reaps a crop out of the kit, they will remember you with a smile. Gardens look beautiful with flowers and trees, but they look sophisticated with neatly placed garden ornaments. We have a number of such items available in our gardening gift shop, including sundials, statues, clocks, sculptures, chimes, wall art, and topiary. There is always a reason to buy yourself a beautiful gift. For occassions like Christmas, and other holidays, we have plenty of decorations to give your house a festive and cozy feeling. Alternatively, if your gardener friend is picky and prefers buying their own things, you may consider our very own gift vouchers that they can use to buy their favourite items from our nursery or the much popular National Gift Vouchers in neatly crafted presentation cards made for a number of occasions. Your gardener friends will love the freedom this gift comes with and will be grateful to you for not forcing on them something they already had or did not want for their garden. Why not ask an expert in our gift shop? While you are over in the gift shop, talk to the salesperson helping you. They will be delighted to tell you what kind of items we have available and perhaps even advise you on what you should get, keeping in mind value and your budget.